Former Coach of the Super Eagles of Nigeria, Christian Chukwu Okoro is well convinced that Ghana midfielder Michael Essien is miles ahead of his country man Mikel Obi. 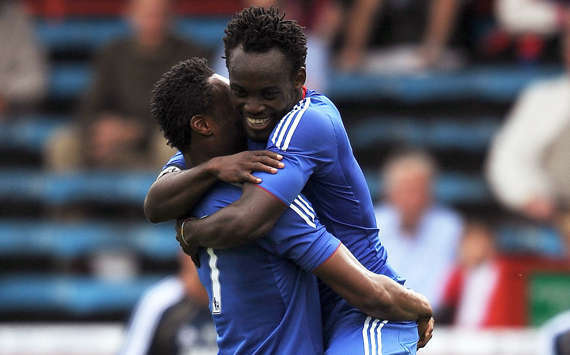 Essien, fell down the pecking order at the Stamford Bridge prompting him to accept a season-long loan deal with Real Madrid on transfer deadline day. “For me I would always prefer Essien but [Roberto] Di Mateo has chosen Mikel over him,” the former Super Eagles coach said. Chukwu, nicknamed ''The Chairman'' during his playing days was the captain when the Eagles lifted the African Cup of Nations in 1980 and also coached them when they reached the semi-finals of the same competition in Tunisia.